I recently acquired an original H16 Reflex and have a question about the alignment of the mask on the top of the prism. 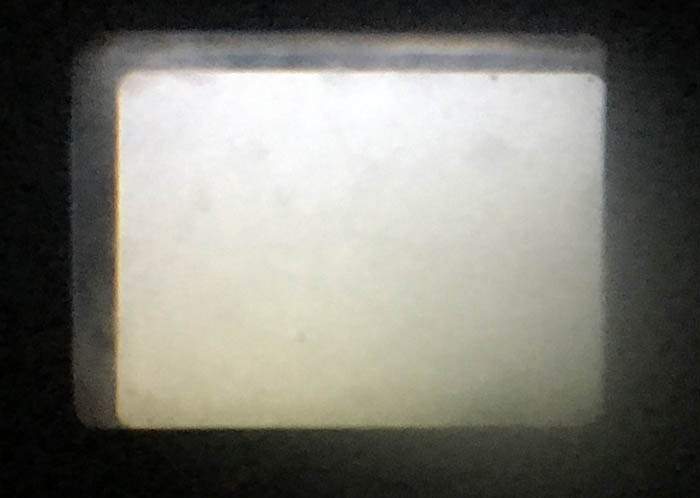 When I look through the reflex finder, I see the outline of the finder itself, with the mask on the prism markedly offset to one side (see attached photo). If I swing the prism out, the mask outline disappears and I see the whole area with the hard black outline around it. Am I right in thinking that this is out of alignment, or is it normal? There is - right in front of the prism - a gelatine (filter) holder. Just check if it is fully inserted and / or if it actually carries a mask or sth like that. Still get the same thing with the filter holder removed. Neither the prism cache nor a filter slide is misaligned. That thing is the front prism in the finder chute decentred. The grey outline is the mask. When I slacken the one screw that's accessible, I can move the mask around a little. When I do that, its position changes in the finder. I'm not saying something isn't decentred in the finder's optical path, however. The issue with the mask is that the screw goes into a slot that allows it to move front to back (up/down in the finder), but there's very little scope to move it left/right - the side of the slot hits the screw. The attached shows it after some adjustment - moved down and left a little when viewed through the finder, enough to get the missing rounded corners into view. I did take the plate off that covers the parallelogram prism and had a look. There were packers at the top and on the right-hand sloping face (viewed from the front), and it all felt pretty solid. I could have a closer look to see if it might have become decentred, although I don't think I want to take it out unless I have something suitable to use as replacement packers (I suspect the original ones will disintegrate). The prism at the end of the viewfinder tube should have 3 adjustments, you need a slotted driver (or a small tube filed to have to prongs) to turn the nuts and some acetone to dissolve the paint that is often sealing the nuts in place. 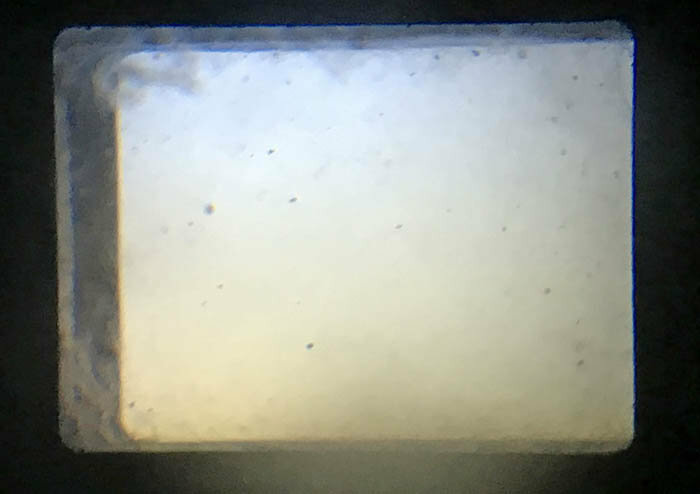 I use an old viewfinder cover plate with the front part cut off so I can adjust while looking through the finder, and it's hard to see without the cover on.